I'm not sure how long the Knitting Olympics have been going on, but basically each Olympic Year, knitters watch as the Opening Ceremonies begin - and cast on for their own challenges! This year, I had planned to write my own sock pattern.. but sadly... it has defeated me. So instead, I am going to wrestle with this old Work In Progress. 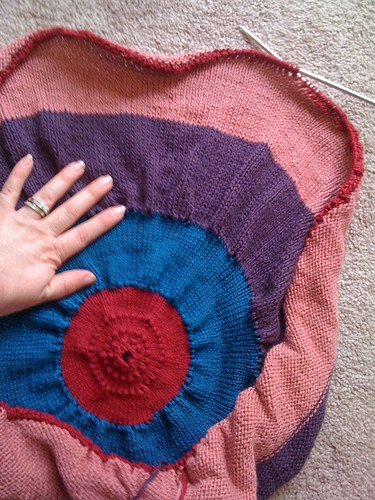 It's a Pi Shawl blanket I cast on back in September! 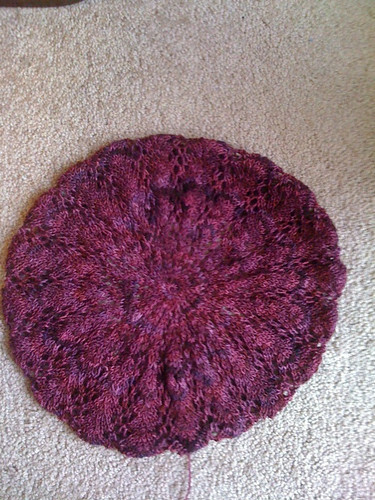 While I was wondering what to do instead of my sock I finished my Raspberry Beret. I love it!! I'll have to get Sam to take a good picture of it on me later. The blanket is very pretty! They are both very beautiful!